Don’t stand at a distance: zoom in on nature. The incredible close-up shots in these books show you true stuff that’s hard to believe. They use stunning macro-photography to reveal weird and wonderful details that you could barely spot with the naked eye – even if you could get close enough. 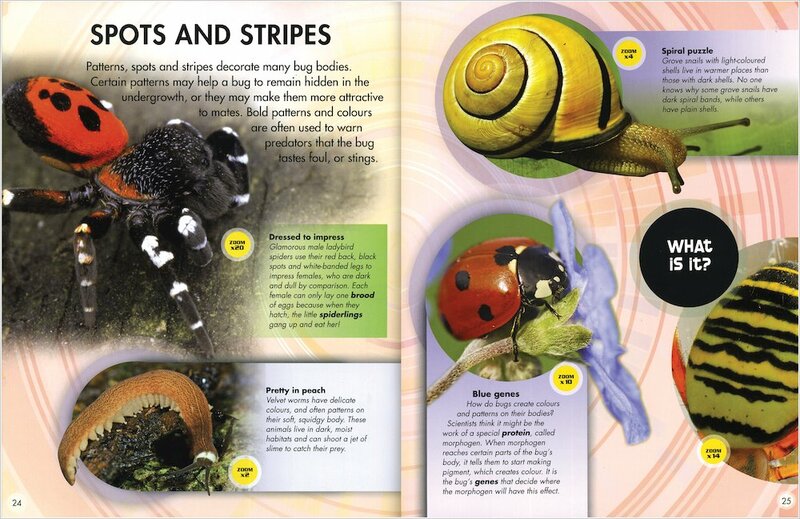 Look at the strange markings on a ladybird spider. Count the feathers on an owl’s face. Be dazzled by a blue-ringed octopus’s markings. Travel down the camera lens to within a hair’s breadth of the world’s most fascinating creatures. 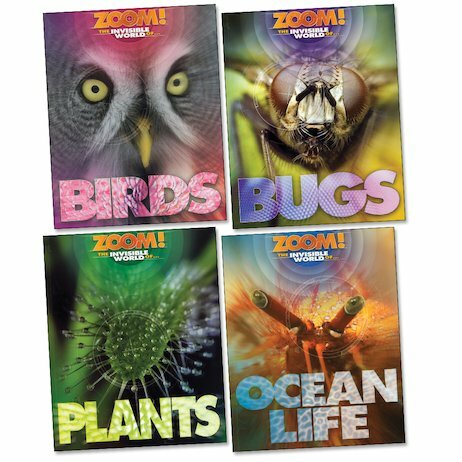 Q&A sections, cool animal facts and ‘zoom factor’ labels are also included. You’ll never stand so close to wildlife.